So I guess I haven’t been here in a while. Imagine that. I’ve been busy with school- last semester was crazy! I had a lot of family stuff going on, and also a big show to prepare for! The performance was called Regalia, and we had two shows- one at Art Central and one at the Art Gallery of Calgary. There were 18 of us students, and our teacher, Dee Fontans (who also dances The Jeweller) and it was quite the undertaking. The show at Art Central (Nov.5, 2009) was huge- around 500 people! The show at the AGC (Nov. 6) was quite a bit calmer, as it was a VIP show, and therefore, smaller. After the performance, we got to go to the ArtWear show at Hotel Arts! 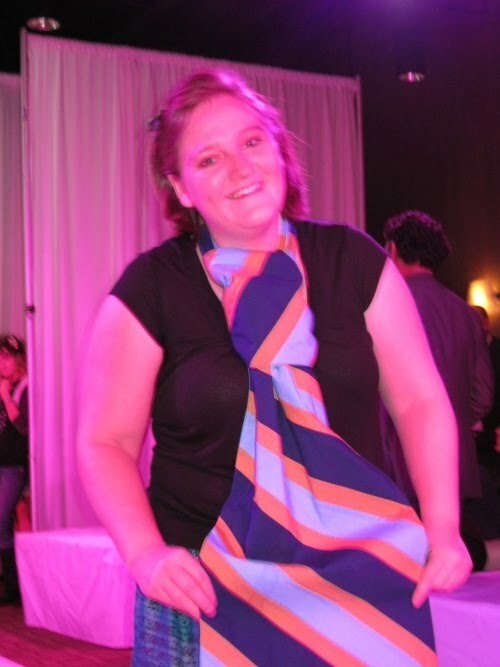 It was an amazing party- I had so much fun dancing with my giant tie! Top Photo: Model: Matt Hartnett, Photographer: Ashleigh Amber Moore. A performance shot at Art Central. 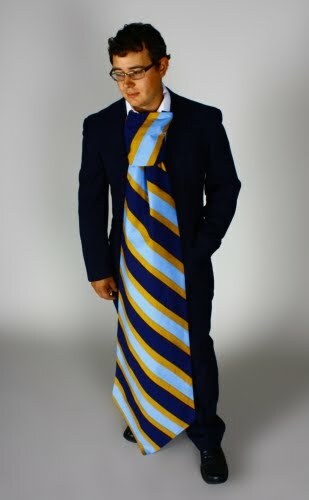 Here’s me wearing the tie at the Hotel Arts party! See the article at Calgary Fashion!